So, a slight tangent this week, following an interesting little mini-story that limped into the press last week, and looking towards where we go next with the work on high intensity. 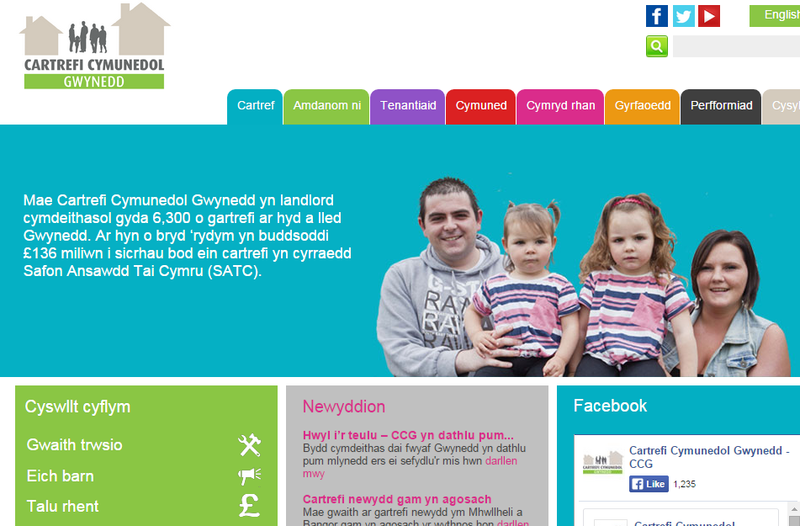 For those of you who haven’t followed this story, back in December Siân Gwenllian, a Plaid Cymru councillor on Gwynedd Council, resigned from the board of the major housing association in Gwynedd (Cartrefi Cymunedol Gwynedd, which took over the council housing stock in 2010). Her resignation was prompted by the association’s decision to break their own Welsh Language Plan and make Welsh a non-essential skill for two top jobs they were seeking to fill. There was a follow-up report last week that one of the new appointments had started learning Welsh (fair play!) but that the other (whom I believe isn’t due to start in post until June) hadn’t. It struck me that we could make a useful offer here, so I tweeted Siân Gwenllian to say that we’d be willing to offer five weekends of high intensity to get them up and running and capable of engaging in conversations. Siân copied my tweet to Cartrefi Cymunedol, who passed it on to their head of Human Resources – and Hywel Trewyn at the Daily Post picked up on the offer, gave me a quick phone call and wrote it up for the Daily Post. I found out subsequently that the Welsh for Adults team in Bangor had made a similar offer, so we’ve agreed to work on it together if Cartrefi Cymunedol (and the officers in question) decide to take us up on it. So what can we realistically hope to achieve in five weekends? [I must say at this point that the Welsh for Adults team may well be willing to offer something longer term – I’m the lazy one who’ll be going back to a life of sloth as soon as the five weekends are over…;-)]. Here’s how I’m figuring it out. In my experience so far, anyone who puts in a full day of effort will get through 5 sessions – and that’s if they make heavy use of the pause button. If they can wean themselves off the pause button, then I think 10 sessions is a reasonable and sustainable target for most people. So in two days of serious effort, we’re talking about getting through 10 to 20 sessions. That means 5 weekends in a row should see us completing somewhere between 50 to 100 sessions (if we actually had 100 sessions!). Let’s take the bottom level there, and imagine that we get through 50 sessions. That means up to the end of Level 2 (which means we need to press on and finish publishing the rest of Level 2!) – and I’m imagining that anyone doing the 5 weekends would be willing to commit 5 minutes a day to the accelerated listening exercises, for the 4 weeks between the first and last weekend. I don’t know of anyone who’s done this. But I find it impossible to imagine that anyone who did wouldn’t be capable of maintaining some pretty interesting conversations in Welsh by the end of it. We know that people who’ve finished Course 1 can survive Bootcamp (in other words, they can get by for a week without any English, by using a combination of Welsh, mime and slightly desperate laughter). Level 1 goes significantly wider than Course 1 in terms of practical communication, and I expect people who’ve finished Level 2 to be genuinely confident in their use of the language. So I believe that if either (or both) of the new appointments take us up on this, by the time they’ve done 5 weekends in a row, they’ll be ready to use Welsh on a regular basis in their new work (and Cartrefi Cymunedol will, one hopes, be able to continue to operate internally through the medium of Welsh). The other interesting tests bit? Once we’ve finished publishing Level 2 Spanish, I’m going to be hunting people to do 3 or 5 weekends in a row (it’ll come down to just 3 if I discover that we can consistently and reliably get people to leave the pause button alone, and that doing so doesn’t reduce people to tears too often). I think we’ll find that some people will be able to go fast enough to end up with a genuine ability to get by in Spanish without using English after just 3 weekends. At that point, I’m hoping we might get some more press coverage, of a slightly different nature, fingers crossed! No, not us, give us a bit more time! Still on the high intensity trail, I’m going to be trotting down to Cambridge at some point to spend a little high intensity time with Mike McCarthy, one of the authors of the globally popular Cambridge University Press ‘Touchstone’ series for English learners. ← make it stick – a book which uncovers scientific support for some of what we do! It sounds like an enormous work load. I’m not sure I’d cope. But they are probably more high powered than me. I look forward to seeing the results. I think it depends a bit on how you compare it – the intensive days themselves will certainly be hard work, no question about it – but five weekends in a row (nothing, or virtually nothing, during the week) is pretty time light compared to an intensive month in Aberystwyth, for example!